Float and fly with Chrissy for 1 week in paradise!!! Join us and the eXtreme Hotel as we find ultimate balance. This retreat is a unique combination of rejuvenation and adventure. 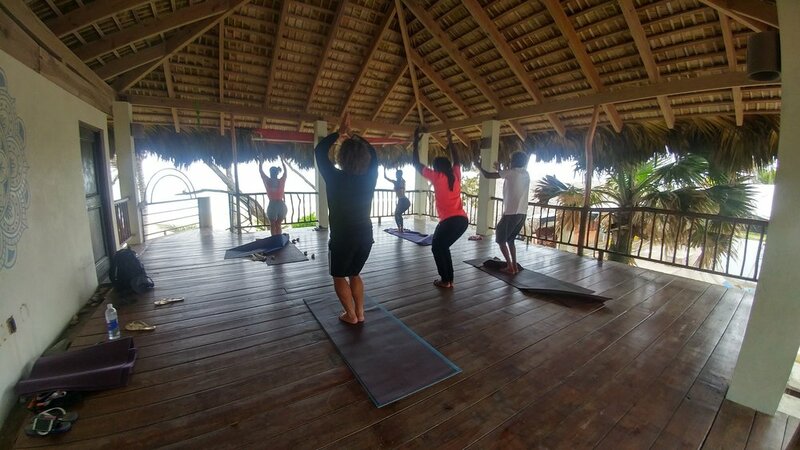 Daily yoga classes will take place both in the beachside Yoga Loft and on a paddle board something for everybody!). Content will range from warm-up asana for paddle boarders, to cross spinal board balancing, a restorative practice and much more! Retreat includes shared or private accommodations, 2 organic farm-to-table meals daily, all yoga (both SUP and in the studio) and a farm tour with river tube to see the beautiful source of our food! All rooms have a private bath, small fridge and ocean-view balcony. 6 pm Restorative Sunset SUPYO! ...Other classes will include: Paddle Board Anatomy, Arm Balances for All, SUP Basics + Safety, Yoga for Paddling Shoulders, Pranayama and more. COST: $1400 OR NEW YEARS SPECIAL: $1100 EARLY BIRD EXTENSION THRU JAN 1, 2018. 50% deposit to secure your discount and room reservation!! ***Have you completed an RYT 200 or 300 hour training? This retreat is eligible for continuing education hours with the Yoga Alliance for instructors certified at both levels. Send us an email to see if you are eligible to receive a Level 1 Grateful Yoga SUPYTT certificate! Chrissy has been teaching paddle board yoga for four years. She loves the healing aspects of nature, but especially the water! Practicing yoga on a paddle board is most importantly a really good time and great excuse to get outside. It will also challenge your balance and inform your practice on land. SUPYO was a natural evolution in Chrissy's practice and she is honored to share it with you! !